A La Crème came from the French word meaning “in the manner of cream”. A La Crème an eminence in a vast variety of dishes and desserts it caters – coffee, cakes, sandwiches, appetizers, salads, steaks, chicken, pasta, seafood and crepes. In April 2001, the first outlet of A La Crème opened in Angeles City located along the busy Mac Arthur Highway near the Angeles University Foundation. The restaurant accommodates the sweet cravings of diners with extra ordinary cakes and escalates their excitement through an assortment of other dishes. 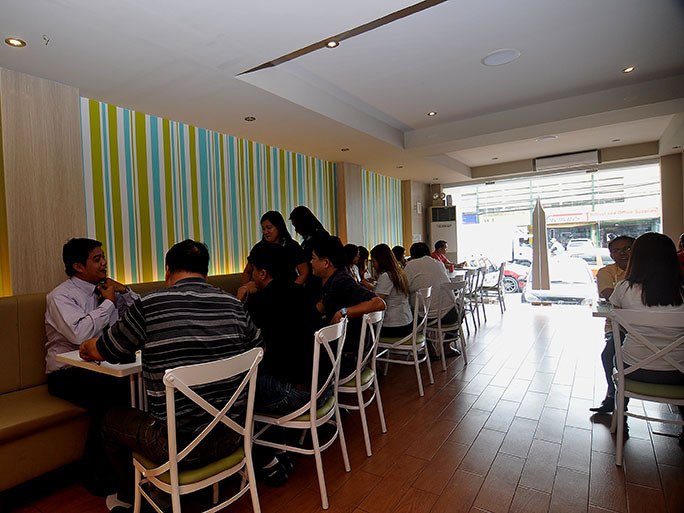 The robust anthology of exceptional cuisine spreads from one satisfied palate to another until the call for expansion became inevitable.Due to the growing number of patrons and opened demands, the family business subsequently opened the second outlet in the City of San Fernando, Pampanga in 2003. 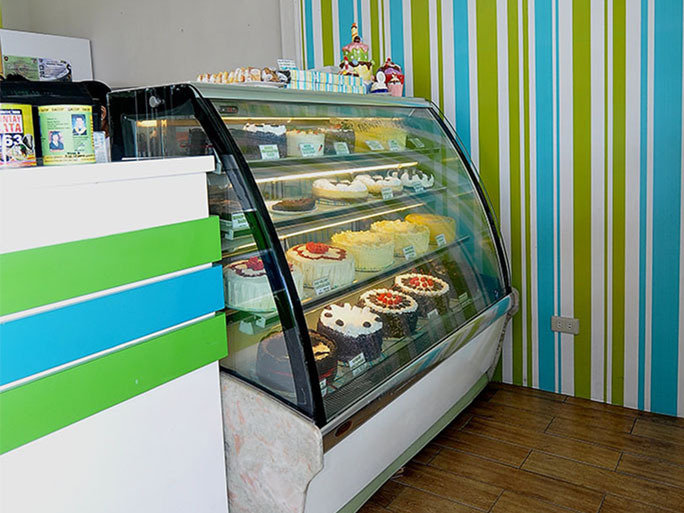 More than a mere dining place, A La Crème Café Bistro Cakeshop provides the best meals for the best deals. They transcend the standard idea dine-and-go. 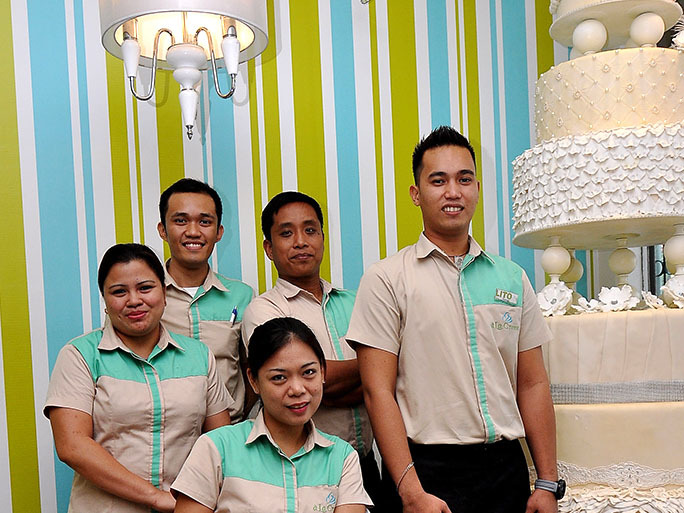 A La Crème took a big leap in 2013, opening a new 50-seater outlet in Quad @ Nepo Center, Angeles City. New improvements have also taken place in almost its entirety. 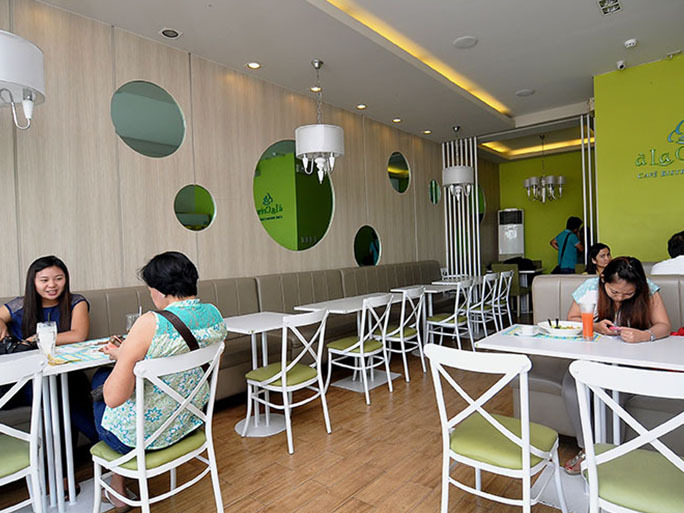 The newest branch has embraced a fresh concept – a modern take on French cafes design-wise, green, blue and white palette dominates the whole place with its soothing and calming effect amidst the hustle and bustle of the city. Along with that are chic furniture and designs. To top it all off new food items are added to the new menu and the all-time favorites are retained. This new concept will make every customer love A La Crème even more.